introduce the main groups of drugs used. Different types of arthritis are treated with different drugs. For example, for gout and arthritis due to an infection in a joint (septic arthritis) there are very specific drugs. For other types of arthritis, such as rheumatoid arthritis, there is at present no drug to cure the disease. Many different drugs can help significantly and may halt the progress of the arthritis. So, for rheumatoid arthritis, your doctor will often need to give you two or more drugs together, or to try one drug first and if this does not work to try another. Painkillers (called 'analgesics') and anti-inflammatory drugs are used to relieve the symptoms of degenerative, or 'wear and tear', arthritis (osteoarthritis). Some drugs control symptoms. For example, analgesics reduce pain and anti-inflammatory drugs reduce swelling and stiffness. Other drugs affect the disease itself. A combination of drugs may be used to treat arthritis. These relieve pain. They are used for many different types of arthritis and are often used together with other drugs. 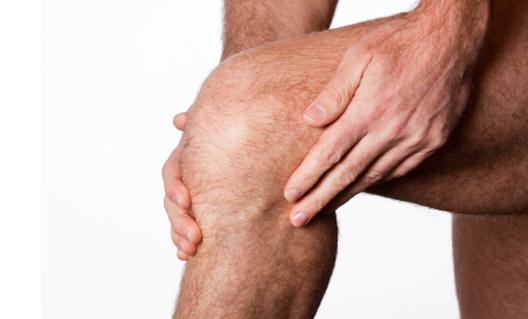 These reduce inflammation of the joint as well as pain. They are used for many different types of arthritis, often with other drugs. If one type does not work, your doctor may try another. They are usually given by mouth but may also be given by suppository or in slow-release preparation (also called 'retard'). 'Slow-release' means that the drug is gradually absorbed by the body a little at a time, rather than all at once. 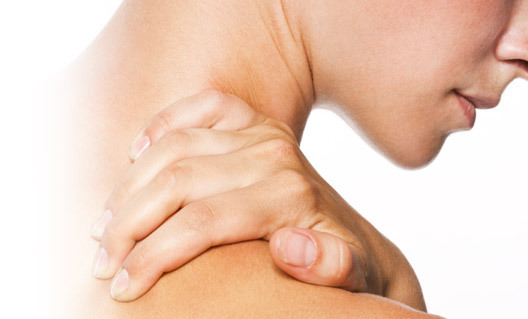 NSAID creams or gels may also be used by rubbing onto the skin over a painful joint or muscle. NSAIDs can damage the lining of the stomach and cause bleeding, particularly if taken in higher doses or over a long period of time. They should therefore only be used with caution and only continue to be used if they are controlling your symptoms. You should not take them if you have a history of indigestion or stomach ulcers. Some of the newer NSAIDs, known as COX-2 inhibitors (or ‘coxibs’, are less likely to cause stomach problems. However, several have been linked with increased risks of heart attack and stroke, so they are not suitable for people who have had a heart attack or stroke in the past, or for people who have uncontrolled high blood pressure. This group of drugs (sometimes called 'second-line drugs') includes gold, chloro-quine, leflunomide, penicillamine and sulfasalazine. They are used mainly in the treatment of rheumatoid arthritis but also in some other rheumatic diseases. They reduce pain, swelling and stiffness. They do not work at once but may take several weeks to work. If you do not do well on one of these drugs, or if you develop any side-effects, then your doctor may try one of the others. Another group of disease-modifying drugs are immunosuppressant drugs. They are termed 'immunosuppressant' because they suppress the immune system (the body's own defence system). They include azathioprine, ciclosporin, cyclophosphamide and methotrexate. Because they affect the immune system they may produce side-effects, and so need careful monitoring. Immunosuppressant drugs are often used to treat cancer but you can be reassured that your arthritis has nothing to do with this disease, and when used for arthritis lower doses of the drugs are administered. A new group of drugs are the anti-TNF drugs – adalimumab, etanercept and infliximab. Anti-TNF drugs can reduce inflammation in people with rheumatoid arthritis. These drugs are currently only being used in people who have not responded to other disease-modifying drugs. The B-cell drug rituximab is the newest drug in this group, which is known as biologics. Corticosteroids are very effective in controlling inflammation and may have some disease-modifying effects. However, if used for a long time (many months) or in high doses they produce side-effects. For this reason doctors try to avoid these drugs or use them in as low a dose as possible. Osteoporosis (thinning of the bones) can be caused by steroids and for this reason your doctor may prescribe treatment to protect your bones while taking steroids. However, they do have an important role to play in many different rheumatic diseases. For example, if one particular joint is inflamed, your doctor may inject it with a steroid preparation. Steroids can also be injected into a vein or a muscle. For some drugs regular checks are needed, so the drugs can be stopped if necessary at an early stage before a serious side-effect occurs. You may be on more than one drug for your arthritis. This is because different drugs work in different ways. A common combination is an analgesic, a non-steroidal anti-inflammatory drug (NSAID) and one or more disease-modifying anti-rheumatic drugs (DMARDs). If one drug does not work this does not mean that you will not respond to another. Similarly if you develop side-effects with one drug, this does not mean that you will develop the same problems with another drug. Some drugs, including several used in the treatment of rheumatoid arthritis, do not work immediately. Some can take several months to produce improvement. While most drugs are taken by mouth (orally) some are given by suppository or by injection. For example, gold is usually given by injection into a muscle (intramuscular injection), etanercept is given by injection under the skin (subcutaneous injection), and infliximab is given as a drip into a vein (intravenous infusion). Some drugs are started at a low dose which is gradually increased (e.g. methotrexate). Other drugs are started at a higher dose and depending on how you respond to the drug the dose may be reduced (e.g. gold injections). Keep a list of all the drugs you take (including those bought over the counter) so that you can tell your doctor. Follow the instructions which your doctor or pharmacist gives you about taking the tablets. For example, anti-inflammatory tablets should be taken with or after food. Penicillamine is taken on an empty stomach. If the instructions are not clear, ask for an explanation. If after starting a drug for arthritis you experience any side-effects, tell your doctor. Do not take medicines which you can buy without prescription without first discussing this with your doctor. These medicines may not be safe for you. For example, some contain anti-inflammatory drugs which can cause problems or react with the drugs which your doctor prescribes. This includes complementary medicines, e.g. herbal remedies or nutritional supplements. Never share your medicines with others. Your medicines may harm them, even if their symptoms are the same as yours. Some drugs must not be taken together with alcohol. If in doubt, ask your doctor. If you miss a dose, do not try to 'catch up' by taking extra tablets. If you are worried, ask your doctor or pharmacist. Drugs are only one aspect of the treatment of arthritis. Other helpful treatments include physiotherapy, occupational therapy and foot care (chiropody/podiatry). A positive attitude, a balanced diet and a healthy lifestyle will enable you to make the most of your life. If you are in any doubt about your drug treatment for your arthritis, ask your doctor, for advice.